An Artist-Mom Life served on an Artsy , illustrative, and Creative Platter. Enjoy! So, being that Christmas is just 6 days away (yay! 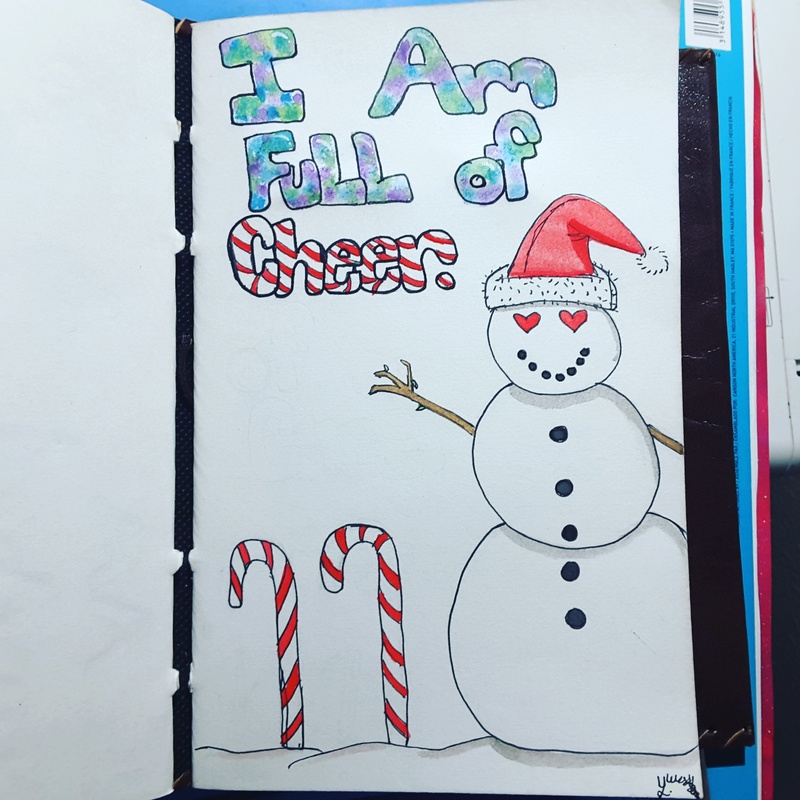 ), I decided to make this week’s affirmations holiday themed and meaningful. Today was a great day. I caught up with family, and spent time with loved ones. I even snuck in a little commissioned work. I’m feeling blessed and cheerful for sure. Even in the down moments, I keep smiling. Keep that cheerful light burning within you all the way to Christmas. With or without gifts, and no matter your religion, you can’t deny the power of warmth that comes with this holiday season. The kind of warmth you suffer through the year for. I lost my taste for true Christmas when I was a kid. Batman brought my love back. I feel like a kid again, watching those packages come here and knowing what’s in it is for me. Life rocks.